“Anyone who knows me, knows that I am passionate about Derby so, when I was approached to support the come-back of the Ramathon in 2014, I was very excited that the company that I own, would be able to help, not only to help to bring back an iconic race but also, help contribute towards a boost to the local economy. You also need to know that I enjoy running, (it’s more like plodding, to be honest) and I love a challenge so by sponsoring the event I believed it would make me more accountable – how could I back out of running it if my company was a sponsor? Putting my business head on, it was clear how the partnership would work well for me personally, but to begin with, the commercial aspect didn’t make sense at all. 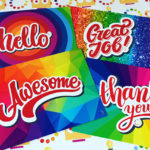 The target market for Essential Print Services is entirely B2B, business to business, whereas Run Derby attracts the general public – there was no way of knowing who, out of the 1400 runners who ran that first race would even be interested in printing. I took a leap of faith anyway and agreed to support them because as the saying goes, “if an opportunity doesn’t knock, build a door”. 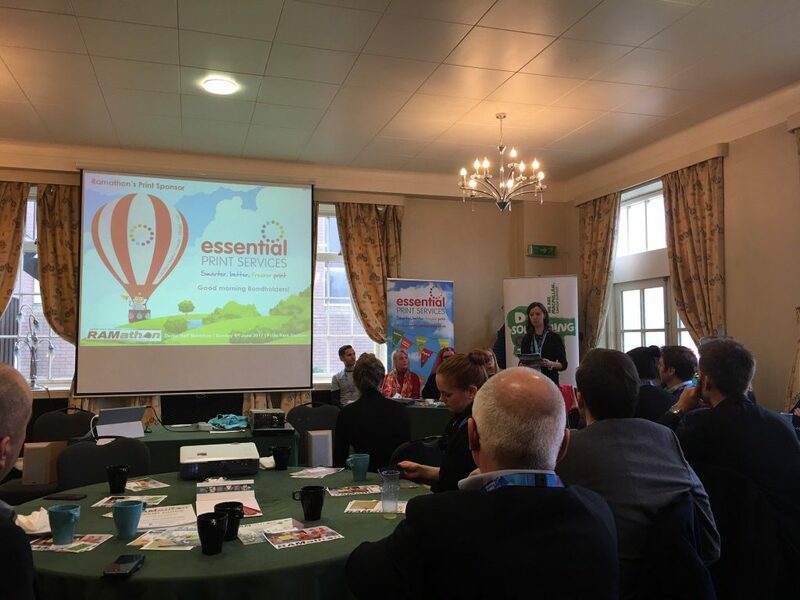 Essential Print Services has sponsored the Ramathon every year since its return and each time, we’ve printed a variety of items, free of charge, including the banners you may have seen dotted throughout Derby, thousands of flyers, hundreds of business cards. We print the route cards, which are posted through residents’ doors to tell them that they’re on the route and even the scaffolding banners that you will see in the race village. This year I will be contributing selfie boards and even branded tape to use at the finish line. Some of you may know that, along with a few other businesses, I help to manage PridePark.net – an online directory of businesses on Pride Park and the Wyvern Business Park, which promotes it’s members by the twitter account and printed newsletter and by 2014, PridePark.net had quite a following. I could see how the client base for Essential Print Services together with the audience for PridePark.net could really benefit the Ramathon. But all this printing and help is a substantial outlay for a small printing business so what does Essential Print Services get out of it? Well, the team at Run Derby acknowledged my initial concerns about the audience, so they now organise pre-race meetings where they invite all the businesses involved so we can get to know each other. They will also help you with PR, generating press coverage. Top tip: If you send out newsletters and e-shots, remember to mention your involvement because it is a great talking point and a good excuse to contact clients. Social media is another great way they help to promote us. They are very proactive and regularly tweet and retweet to over 2,600 of their followers. And of course, we reciprocate via main online different channels. Our logo is featured on their website, e-shots, banners and flyers. On the day, my company is mentioned before and after the race on the tannoy system. Our own banners are displayed on the railings at the start & finish lines. These are prime locations for photographs. The synergy between Essential Print Services and Ramathon works particularly well because of the race location. Our office overlooks Pride Park Stadium and so on the day, our printing HQ becomes a base camp for team members. That’s cool. No worries about parking or toilets for us! One new thing I’d like to do this year, is to meet Jake Lowe, Ramathon’s official personal trainer, during the course for a quick chat. I have lots of other ideas and there is still so much more I could be doing but, it would mean playing a bigger part on the day and not running. The Ramathon team have offered me a stall in the race village but, for the time being, I’d prefer to run it, for as long as my knees will allow me anyway. The races in 2014 & 2015 were a personal challenge, just me focussing on surviving the course. Last year, I decided to run for charity and being a Trustee of the Maria Hanson Foundation I decided to raise some money for our cause. I formed a small team, which included of fellow bondholders, Simon from JAKT Photography and Laura from SQN. Our target was to raise £200 each because that’s how much it costs the charity to send a terminally ill person on holiday with their family, potentially for the last time. The final total was over £800 – helping 4 families spending precious time together – amazing. 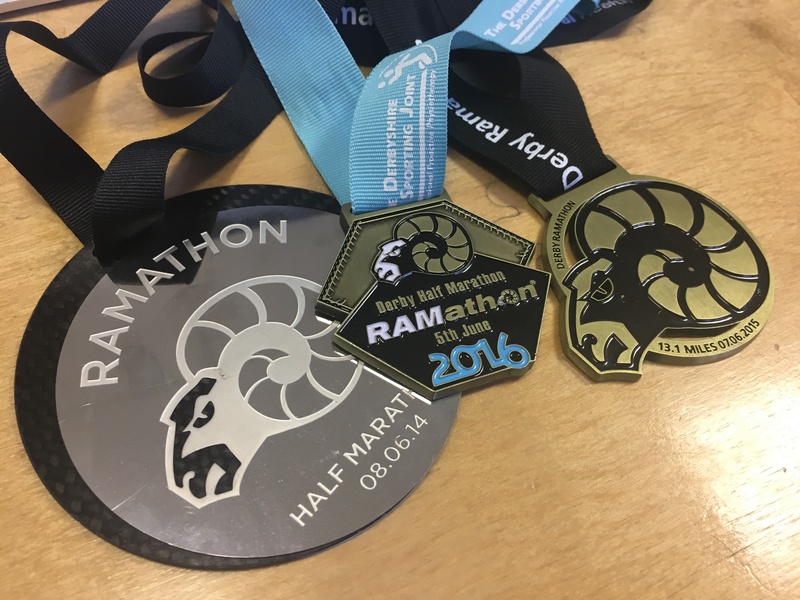 This year, we want to make the team bigger, so The Maria Hanson Foundation is now an Associate Charity for Ramathon and has several race entries available – if you’d like to get involved, let me know. Now then, running the Ramathon, all 13.1miles of it, is not easy for me. I find it incredibly difficult. There are many times throughout the course when I want to give up and in my head, I scream at myself “do not stop, keep going”. One thing that helps me through is to remember how lucky I am to be physically able to run, let alone able to run a half marathon. It helps me put everything is perspective and plod on. So, you may be reading this and thinking, “I can’t run 13.1 miles, I’m too slow”. If you’re slow, that’s fine because you can join me at the back. In 2014, I ran my first Ramathon and completed it in 2hrs 32mins. In 2015, I improved to 2hrs 16mins. Last year, I decided to give up alcohol for 6 months, so on 1st January 2016, I told myself that I wouldn’t have any alcoholic beverages until after the Ramathon. I wanted to test my theory that it’d help me run faster. So, I did my third Ramathon in….2hr 17mins – a minute slower! Argh. Yvonne’s three medals from 2014, 2015 and 2016. When it comes to being a sponsor of the Ramathon, it’s like anything in life, the more effort you put in, the more you’ll get out of it. – It helps if you or a member of your team is passionate about the subject. This will ensure any activities out of your usual trading hours will be more enjoyable. 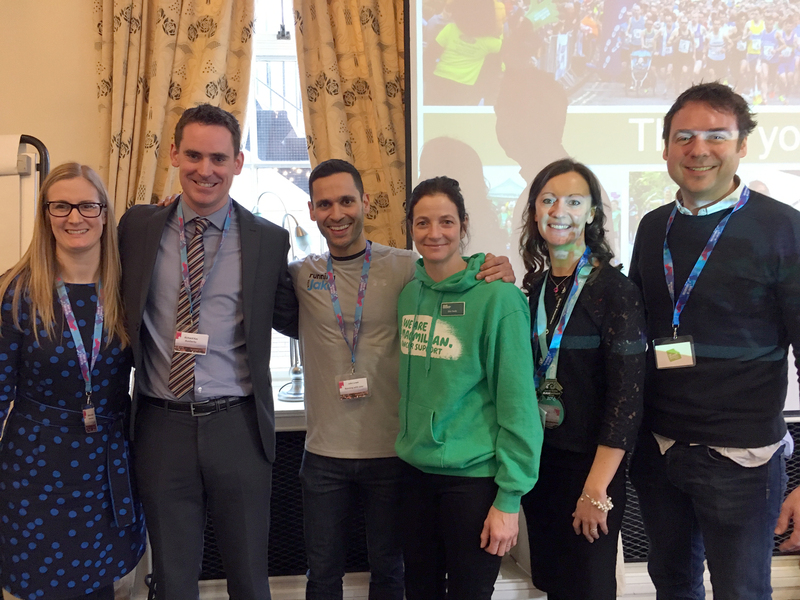 – It helps if the organisation you’re sponsoring is organised, professional and easy to get on with (the Ramathon team certainly are, I can vouch for that). – Talk to current and previous sponsors about their experience. What worked well and not so well? – Check out their social media profiles – is the organisation presenting itself well, consistently well? – A sponsorship deal is like any other deal so before you go ahead with anything, ensure both parties are clear what is expected of them, put a value on the work and put everything in writing. If you’d like to know more about sponsoring the Ramathon or any other event in the Run Derby series, call Yvonne on 01332 418377 or chat to us online.